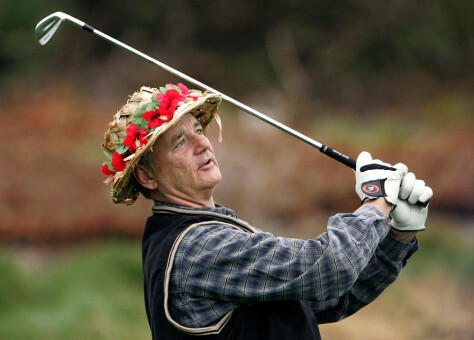 Actor Bill Murray tees off from the 2nd tee of Spyglass Hill Golf Course during the first round of last year's AT&T Pebble Beach National Pro-Am. He ranks No. 13 on the celebrity golf list.